Lieutenant Robert Allan Caldwell (Royal Air Force) destroys an enemy balloon in flames north of Bohain at 5,000 feet in spite of very heavy anti-aircraft fire. On the way home he descends to 50 to 100 feet and creates great confusion and does much damage to the enemy infantry, transport and artillery marching westwards to counter-attack, returning with his machine again much shot about. While flying on a low bombing raid Lieutenant Wilfred James Jenner (Royal Air Force) is shot through both legs. Although suffering great pain, he continues his flight and drops his bombs on the objective before returning to his aerodrome. Lieutenant Horace George Eldon (Royal Air Force) achieves his final victory as an observer while flying with Lieutenant I G Fleming when they shoot down a Fokker V II southeast of Lille. Lieutenant Gerald Anderson and Second Lieutenant Thomas Sydney Chiltern (Royal Air Force) also bring down their last victim when they shoot down a Fokker D VII at Quesnoy. An attack is carried out by 23 Camels of 28 and 66 Squadrons at the training school of the Austrian Air Force at Campoformido with phosphorus and high explosive bombs causing a great deal of damage. Some aircraft of the school which come up to attack the formation are also shot down. Two of 28’s Camels are shot down and the pilots killed. Brigadier General Sir William Algernon Ireland Kay (commanded 3rd Infantry Brigade) CMG DSO, 6th Baronet, is killed in action at age 42. He and his Brigade Major, Captain William Fulton Somervail DSO MC are killed instantly by a gas shell near St Quentin while reconnoitering new areas. Lieutenant Colonel Edward Hills Nicholson DSO (commanding 3rd Royal Fusiliers) is killed at age 38. Major Arthur Holroyd O’Hara Wood (Royal Air Force) is accidentally killed at age 28 when his Camel collides with that of Second Lieutenant Lorn Lamond Saunders while on a patrol over Saint-Quentin. 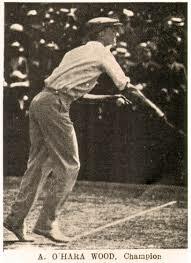 He is the 1914 Australasian Tennis Open Champion and he scored the first victory for 4th Australian Flying Corp on 24th January 1918. Lieutenant Saundres is also killed. Captain Gerald Montague Hedley (Royal Engineers) dies of wounds. He is the son of the Reverend William Hedley Vicar of Felkirk. Captain and Quartermaster W T Humphreys (Royal Fusiliers) is killed in action at age 24. He is the son of Frederick Humphreys JP. Lieutenant Charles Penruddocke (Wiltshire Regiment) is killed at age 25. His brother was killed on Salonika in April 1917. Lieutenant John Weston Warner DFC (Royal Air Force) is killed in action when his Sopwith Camel is shot down over Busigny. The 19-year old is an eight-victory ace. Second Lieutenant Walter Riddell Sutherland (Seaforth Highlanders) is killed by a stray shell on his 28th birthday. He was a Scottish rugby union footballer who gained 13 caps between 1910 and 1914. Second Lieutenant Charles Percival Henry Manley MC (Royal West Kent Regiment) is killed at age 20. He is the son of the Reverend Charles Augustus Manley Vicar of St Dunstan’s Canterbury. Chaplain the Reverend Guy Spencer Bryan-Brown (New Zealand Chaplains Department) is killed at age 32. He is the son of the Reverend Willoughby Bryan-Brown of St Stephen’s Eastbourne. Sergeant Louis McGuffie VC (King’s Own Scottish Borderers) is killed by a shell. In December he will be awarded a posthumous Victoria Cross for actions performed near Wytschaete on 28th September. Sergeant William James Middleton DFM a six-victory ace (Royal Air Force) dies of wounds received in action. Gunner John Kenneth Groves (Royal Field Artillery) is killed in action at age 21. His brother was killed on the first day of the Battle of the Somme. Private John Miller (Warwickshire Regiment) dies of malaria in Mesopotamia at age 32. His brother died of wounds in August 1917. Private Claude Ogle (Lincolnshire Regiment) dies of wounds received the previous day at age 20. His brother will be killed next April. Private William Kennedy (Cameron Highlanders) is killed at age 19. His brother was killed in March 1916.